So today marks the day I’ve been here for a whole month and I can’t believe it. It feels like I arrived so recently yet I have done so much already. The week started off with lots of class and work. On Monday night we headed to the cinema to watch ‘trainwreck‘, we had all seen it advertised on the tv out here and were looking forward to its release. It was a hilarious film, it even got me crying from laughter. The cinema was really nice and a lot more fancy than the UK, they sell coffee and cake! Plus it was cheaper on Monday nights! On Wednesday I booked my flights and paid for all the tours for our East coast trip so that was super exciting! There is a group of 12 of us going so will be so much fun, we will have just over two weeks and have lots planned so that countdown is starting! Then after more class it was…you guessed it bachelor night. Urbanest were giving out free soup and hot chocolates so we had a nice chilled evening. On Thursday we had booked in for a free wine tasting evening with study Adelaide which we were all really looking forward to. I had a compulsory tute until 5pm so I arrived a bit late but I played catch up quickly! The event was held at the national wine centre which is about a ten minute walk from campus. 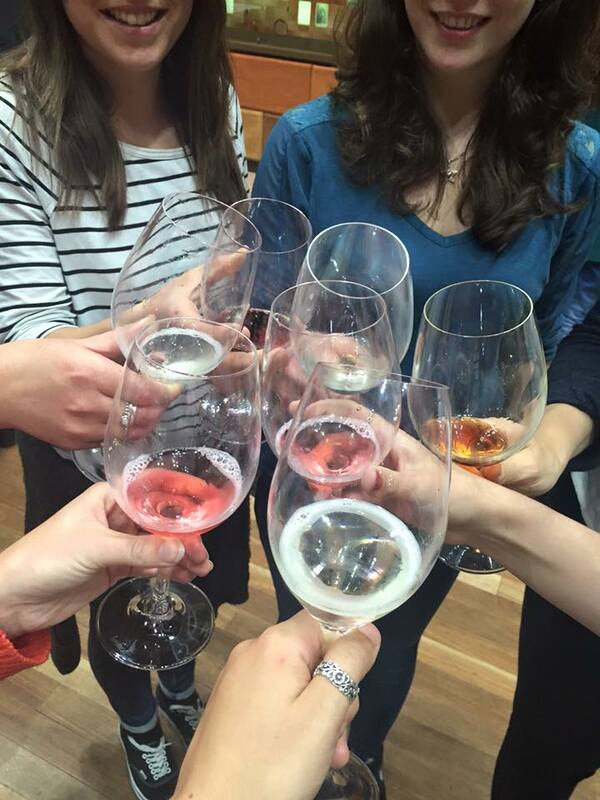 They taught us all about the history of wines, the different wine regions and all the different types and processes. 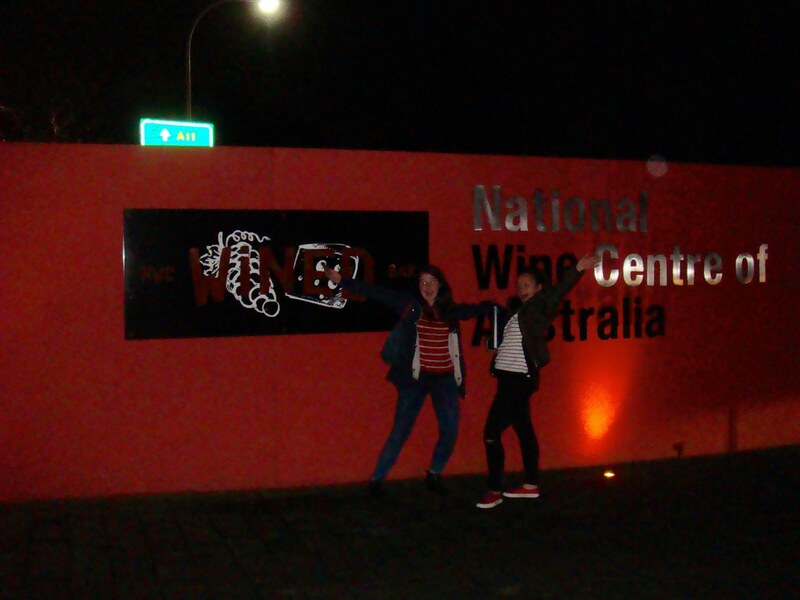 South Australia is very famous for wine and has many leading wine regions so we were in for a treat. There were different sections with different types of whites, reds, sparkling and dessert wines. We were given a list of all the wines and all the information so I was taking note of my favourites!! 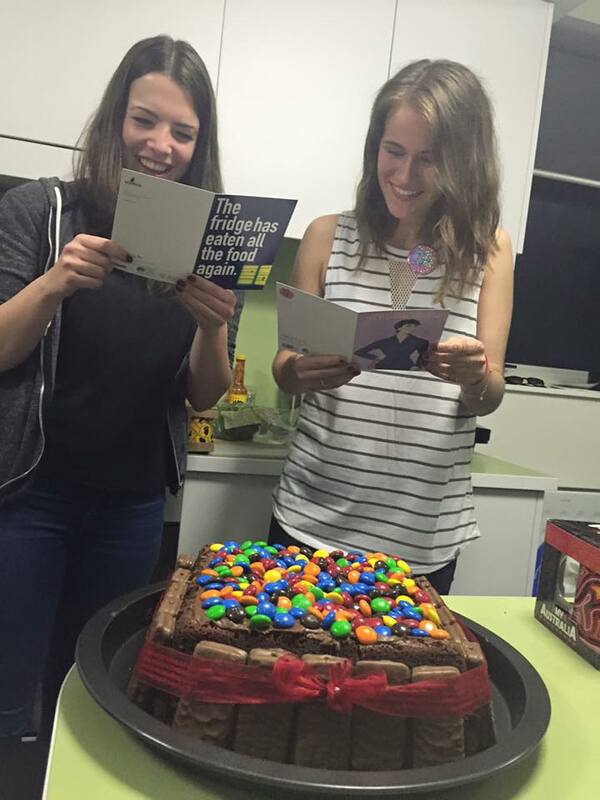 It was an amazing evening hosted by study Adelaide, there was even food too (probably a good move). This weekend it was two of the girls birthdays so on Friday morning we sneakingly baked them a cake and got some presents whilst they were at class. They are both tim tam obsessed so we decided to try and make a tim tam cake. We ended up with a two layered chocolate cake with a butter icing filling with crushed tim tams in with a layer on top with m & m’s sprinkled on and then bordered the cake with tim tams. They both loved it when we surprised them with it in the evening and it was soon demolished. There was an event going on at a place called rocket rooftop bar so we decided to go there for their birthday celebrations. 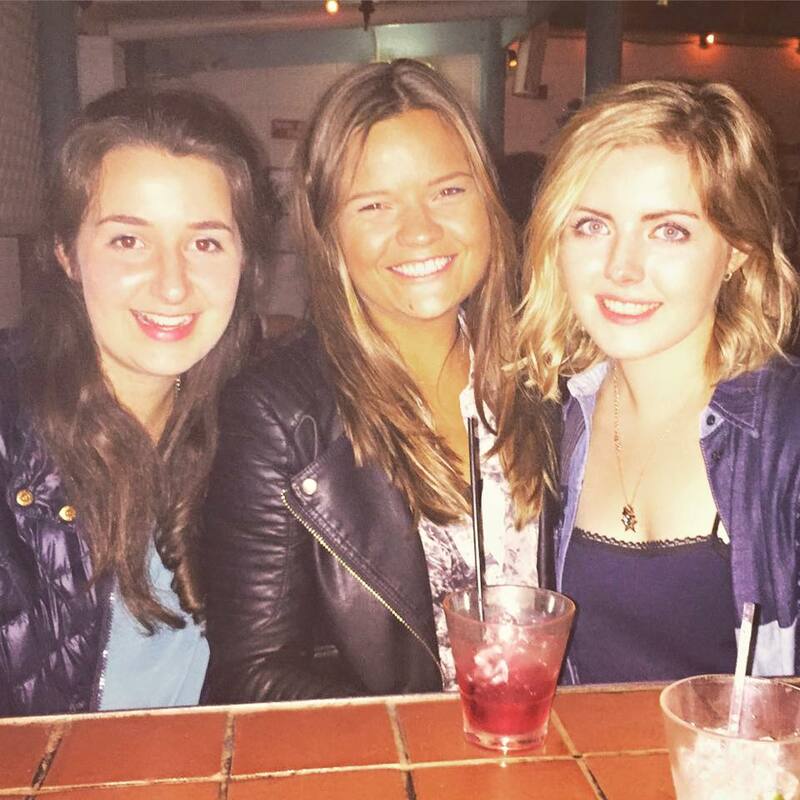 We had emailed letting them know it was our friends birthdays so we managed to get super cheap entry and free drinks (I got three). The rooftop was amazing and was a lovely place to celebrate, even if my asthma didn’t agree with the dry ice that was being pumped out. On Saturday after a morning of studying we had planned to do a dessert bar crawl that our accommodation had advertised. It turned out to be poster with directions of the places to go and you do the tour yourself. So we all headed off and hunted them down but the first stop ended up being a closed down cupcake shop that I recognised from what must be the relocated shop in the centre I had previously seen. Down the rod was Chocolateria san churro which I had wanted to try as its advertised with our student union membership (we can double portions for free). It was amazing, India and I shared 12 churros and we all got different dips so we could try lots: caramel, milk and white chocolate, Spanish hot chocolate and peanut fudge ice-cream mmm. In the evening we went out for dinner at an Italian restaurant restaurant for Erica’s birthday. It was a lovely meal despite the mild food poisoning afterwards, lets just forget that. 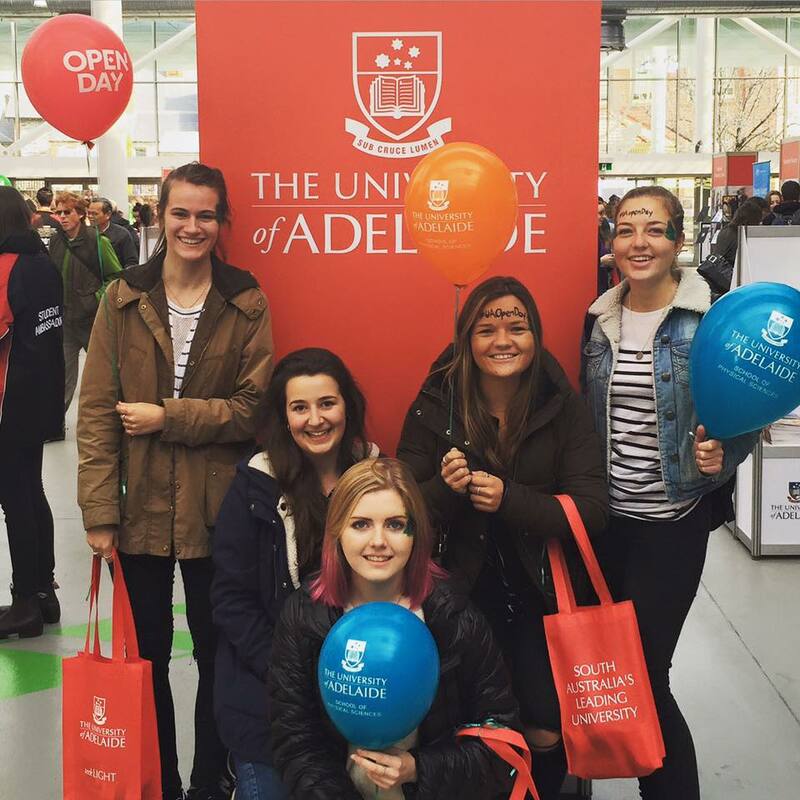 Sunday was the University of Adelaide’s open day so we got up early to head into campus as there was lots to offer. There were lots of freebies such as free tattoos, face paint, tea/coffee, biscuits, goodie bags and uni flasks etc. 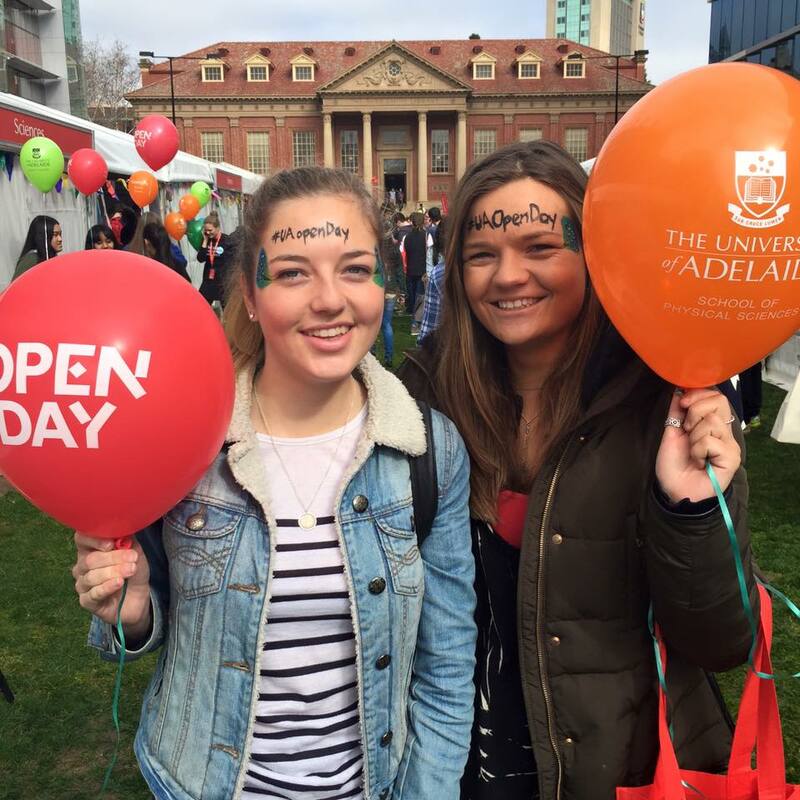 There was also an Instagram competition going on with the best video and top 10 photos of the day with the #UAOpenDay hashtag winning $200 of asos vouchers and university of Adelaide hoodies plus the photos we took we got printed for free! Allie and I got so into it we even asked the girl doing face paint to write the hashtag on our foreheads. All of the strange looks walking around campus better be worth it! There was a free BBQ at our accommodation as it was open day so we headed back and enjoyed it in the sunshine on the balcony. 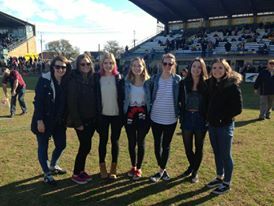 In the afternoon we headed to watch our first Aussie rules football match courtesy of study Adelaide! It was a state level league match Eagles vs Adelaide crows at the Woodville oval. We tried out the train for the first time, $1.30 (60p) for a 15 minute journey, not bad hey! The match was at Eagles home crowd so we decided to support them so we got face paint on our faces in their colours (blue and yellow). When we arrived we were met by a representative at the gate who took us to our seats in the stand and gave us a bag of eagles freebies. There were a handful of dedicated fans who were sat with us for the match and explained to us the rules of the match and the players etc. They were so helpful as its quite a confusing game! So basically theres 18 men on each side, 7 referees and you can’t run with the ball for more than 15m without bouncing the ball and the goals are in-between posts like rugby with the middle posts scoring 6 points and outside ones 1 point. The match is split into four quarters and during the breaks the crowd is welcomed onto the pitch, apart from the main centre square, to watch the team talks. During half time the players go into the changing rooms and the crowd is once again welcomed onto the oval part of the pitch and your able to kick footballs around and play. So we were showed onto the pitch and all taught how to throw (more of a hit) and kick the ball which was a great laugh. This match was the 17th out of 19 rounds and with the eagles currently first in the league and the crows making a come back it was a tight game. In the end it was victory for the eagles 68-65!! Train home and straight to the study room to make up for a busy few days! I have some deadlines this coming week so will be a busy week but got some exciting plans to look forward to!